The FCC has restarted the shot clock on the informal 180-day clock and continues to consider AT&T’s proposed acquisition of T-Mobile USA. 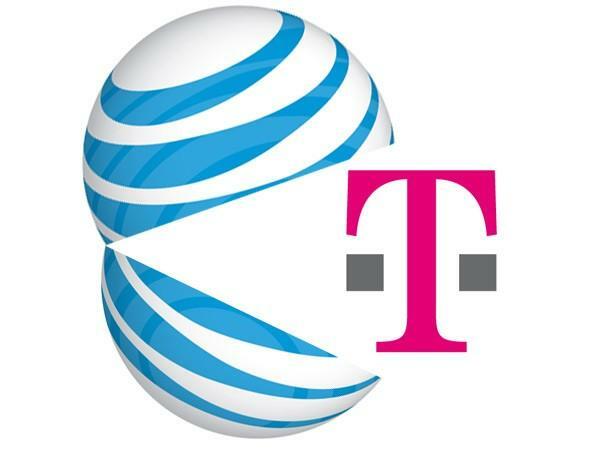 The FCC had previously stopped the clock July 21st stating that AT&T had indicated it wished to transmit reviewed models to help further support the carriers positions. “Our understanding is that, unless specifically prompted by a request from the Commission or the Department of Justice, AT&T will not be submitting any further revisions to the models,” wrote Rick Kaplan, head of the FCC’s wireless telecommunications bureau. This Friday is Day 83 of the 180-day informal time frame that has been set aside for the FCC review of AT&T’s proposal. If the U.S. can win its freedom, David can defeat Goliath, T-Mobile can beat AT&T, BRING IT ! The problem here is David seems to be on Goliath’s side. Deutch Telecom doesn’t want T-Mobile anymore so David’s acting like a wimp. Are you talking about me David or theoretical David? I think it’s the metaphorical David he’s referring to, not you. You’ve been and will continue to be awesome. Right yes, metaphorical David…not sure why I said theoretical! That’s the word I was looking for! And thanks Conan! How come David’s post get edited by a mod. That doesn’t make sense. Would be pretty interesting if the tmo news site played a part in the denial of the merger. Money is money… DT would take Google or Cablevision’s money too!!! They are waiting in the weeds! The padding of the politicians’ pockets has been going on for months already. Better start thinking of a new name for this blog. ATTnews does not cut it. ATTmo……That’s what we call it ! !……………..It will probably be ATT a whole lot Mo (money that is). I hate how with things like this there’s so much drama..at least make it drama I can enjoy..
A reality show called the real mergers of mobility? Keeping up with the attmobiles? Crossing fingers that it doesn’t go through. Lol so they can get that 3.8 billion and att unused cell towers. About freakin’ time! Let’s quit dragging it out and get this whole mess over with already. I feel like the rapture is coming with this clock. Hello my name is Elroy and i’m from the future and i want to tell you whar happen after ATT buys tmobile. At first customers where very happy and then the problems started. dropped call,rates went sky high and people had no where to turn. Other mobile companies couldn’t compete so most of them wizard off and died. In 2014 a hostile takeover verizon shocked the world by them grabbing sprint. A new company by ATT and verizon call bridgebell was formed. So now you have ONLY one place to get a cell phone. I ask you? As far as we have gone. Why would we go backwards? we can not let this happen.. I laughed SOOOOOOOOOO hard reading this. Great laugh on a Friday afternoon. What a genius post. If you liked that one. heres one more. This is what ATT does. we’re being taken for as loop down the porcelain bowl.We didn’t land on ATT. ATT is about to land on us.FCC don’t let tmobile be apart of the new bellisms. Did the clock get resumed…so picking up from day 83 from when it was stopped and we’re now 97 days away from the clock timer running out, or did the clock get reset….so starting the 180 countdown from day 1 again? Different news sources are citing both … Not that it necessarily matters, mind you. write to your lawmakers, we sent 5000 petition letters to lawmakers to reject this deal or let us cancel TMO without ETF. What does ETF have to do with anything. The problem is the lack of competition, so every provider will have poor service, high cost. And by every, I mean both, sprint will surely go out of business. Of course the deal will be approved by the FCC. The FCC will pretend to scrutinize the deal while working out a way to extort money from AT&T. AT&T will agree to pay the bribe / fee / tax / penalty / program to help disadvantaged people. The FCC approves the deal. AT&T raises rates on millions of hard working honest people and makes a fortune. Government and big business wins and the citizens get screwed. Business as usual! The deal will flop. Remember this because I will brag that I called it. You mean right after 239402394234 analysts called it too? Hilarious…thanks for a much needed sense humor on this otherwise dreary day! You are correct CB. I just don’t understand why people don’t see this. Rather naive to believe otherwise imho. The unredacted letter that AT&T flubbed already killed this deal. T-Mo emerges with $3 billion cash and a swath of new AWS frequency. $3.8 billion to build out their existing network w/o buying T-Mobile. I hope that unredacted letter killed it! I hate AT&T with a passion! Nice to see that the DOJ agrees with us. WWW. YATOOMALL. COM please input those word on your web ,do not forget add the dots on the web there,if you do not know how to do also can click my name ,then you will come our company website,maybe here will have something your like,if not,you can collect the link on your tag,thank you! this will be interesting when it unfolds, I am ready to see the results. God I hope Google swoops in at some point and buys T-Mobile. Cablevision was interested as well. Put this buy out to bed already…tmo needs to move on. The sooner this dark cloud is removed the sooner it can start working on its resurgence. Or for Google to partner with Tmo and make it the true Andriod hub.